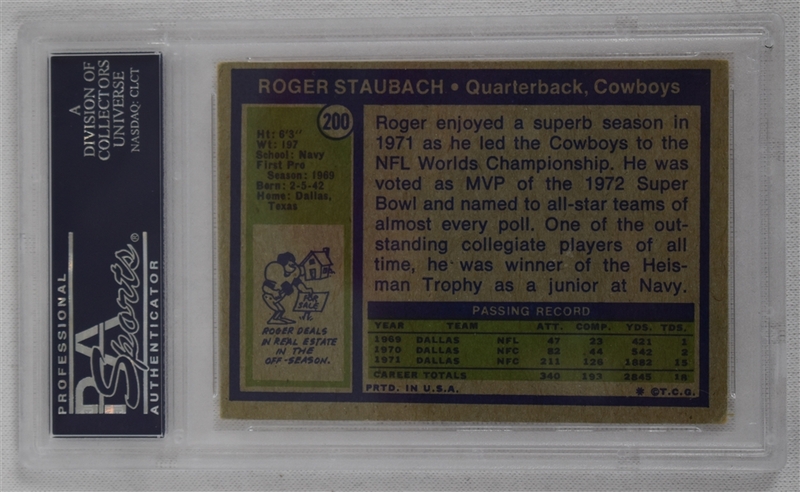 This lot features a rare Roger Staubach autographed 1972 Topps rookie card professionally authenticated, encapsulated and graded by PSA. Staubach has signed and inscribed this highly sought after rookie card in blue marker "Roger Staubach, My Rookie Card". 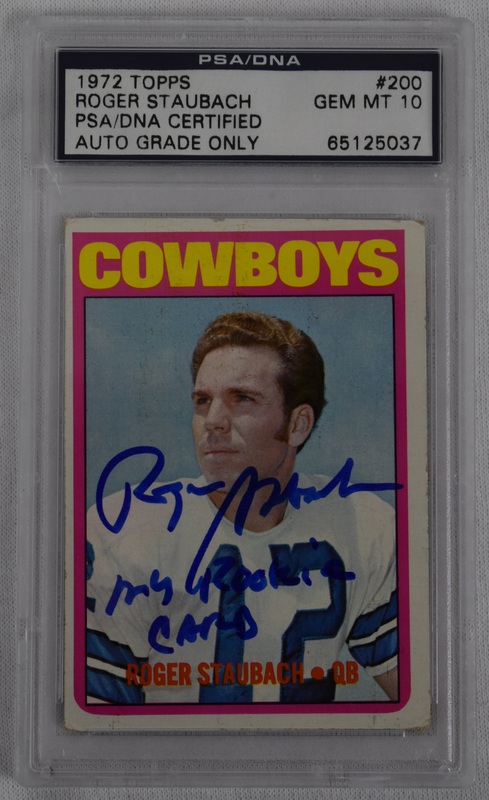 The card itself is aesthetically appealing and the signature has been graded a perfect Gem Mint 10 by PSA/DNA.